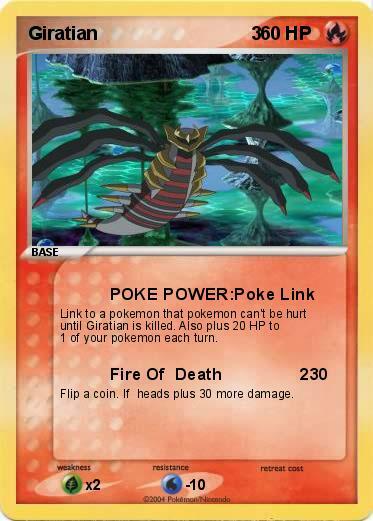 Link to a pokemon that pokemon can't be hurt until Giratian is killed. Also plus 20 HP to 1 of your pokemon each turn. Flip a coin. If heads plus 30 more damage.